The largest Vivid Pink diamond to ever be offered in all of Christie’s auction history has arrived. And with it comes a price tag. 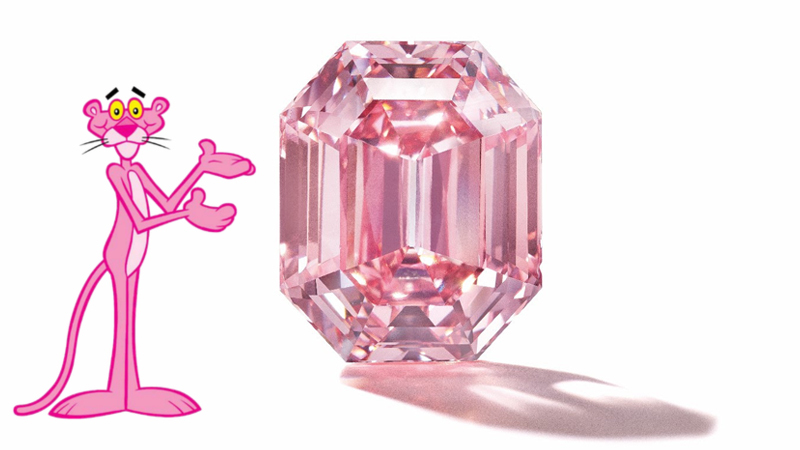 The Pink Panther of the auction goes by the name ‘The Pink Legacy’ and is a rectangular-cut diamond weighing just about 19 carats, compared to most pink diamonds which only weigh less than a carat or so. When talking about diamonds and their value it’s never as simple as going by size or color. 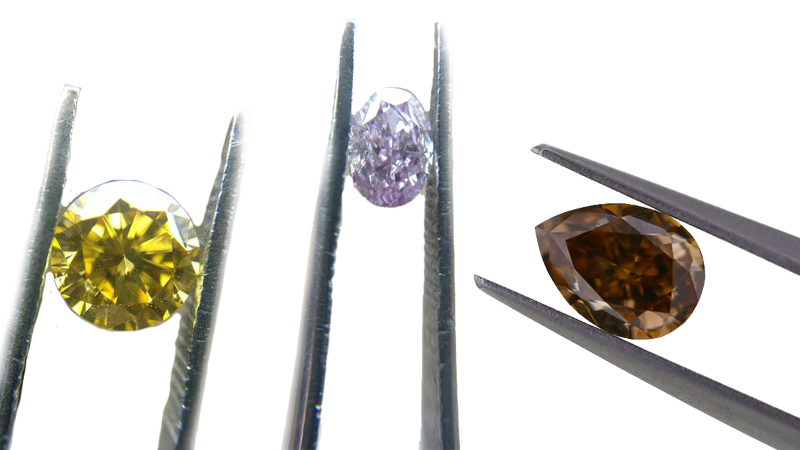 You always have to factor in the famous four Cs: Color, Carat, Clarity, and Cut. 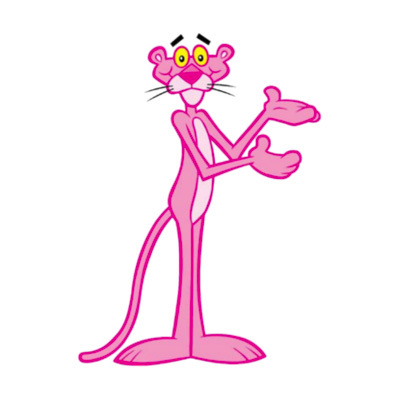 Adding to the size and weight of the Pink Legacy, we can also identify another dimension relative to its name. Namely, its color. Most people’s understanding of valuable diamonds is that they should be crystal clear. And that’s very much the case, if we’re talking about colourless diamonds. These gems are valued based on their lack of color. However, there is a type of diamond that trumps the colorless stones – and these are the Fancy diamonds. When it comes to pink, yellow and blue diamonds, their intensity is the true measurement. This diamond has received the highest diamond color grading of Vivid by the Gemological Institute of America. Adding the term “Vivid” to Fancy diamonds means they are the most saturated stones displaying the optimal tone of the gem. Why are they more valuable? As with most valuable things, they are more rare – in this case, extremely rare. The diamond is internally pure which is very rare as the color is constituted by pressure and slippage of the crystal lattice, something that typically causes imperfections in a stone. Do you want to learn more about diamonds? Read Barnebys’ Guide to Diamonds. As you may know, there hasn’t been many diamonds up for auction like this one before. In fact, there as so far only been four. 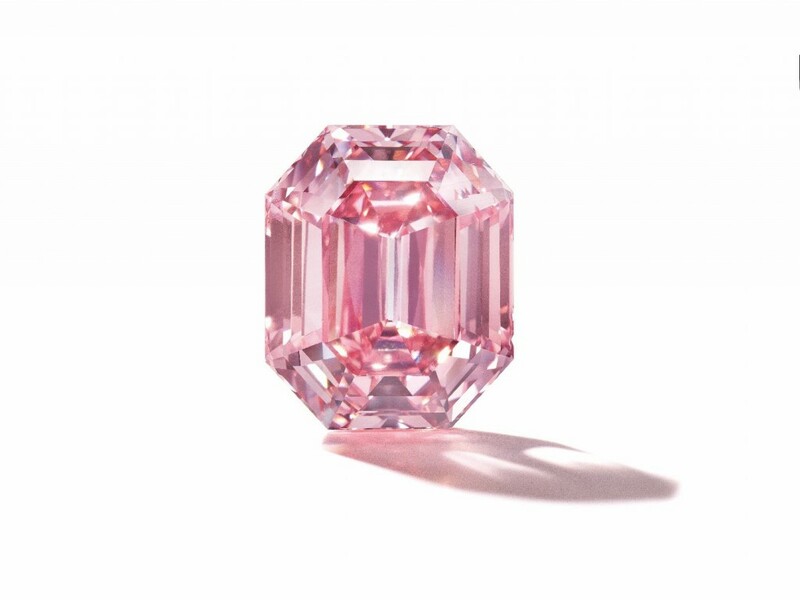 One of these, ‘The Pink Promise’, was sold in November 2017 at Christie’s Hong Kong for $32,480,500 – and holds the world record price per carat for a pink diamond. “The discovery of this previously unrecorded and remarkable diamond will cause immense excitement with collectors and connoisseurs of diamonds around the world. The Pink Legacy will be exhibited on a global tour prior to being auctioned on 13 November at the Four Seasons Hotel des Bergues. Its exceptional provenance will no doubt propel it into a class of its own as one of the world’s greatest diamonds.” says Rahul Kadakia, International Head of Jewellery at Christie’s. The estimate for this rare diamond is $30-50 million. We’re waiting with excitement to see at what price the hammer will fall on November 13. Search for all diamonds on Barnebys.